The Lifeworks Program for youth was created to establish career readiness amongst youth participants, preparing them with the concrete skills needed to stand out in a competitive job marketplace and for them to be successful. The program provides opportunities by using the eight pillars: career awareness, work experience, personal preparation, education plan, mentoring, service, leadership, and enrichment. The program accomplishes its goals by providing a safe and inclusive environment for growth for the participants. It also nurtures trusting relationships with coaches and mentors with their consistent presence. In the end, it is the combination of these elements that together creates a sustainable livelihood for participants. Studies show that work experience for teens is crucial in developing soft skills, problem-solving, and increasing self-esteem. As a metric to success, over the past seven years, the program seen the number of graduates return to work in the program as coaches, referee, event staff and administrator grow by more than 50%. And the hours that they spend in the program is well over 1,100 annually. “If I can impart just a little bit of information, provide support or offer encouragement, I know that will be key for the kid to make that next step towards their life’s purpose and success,” said Jill Robbins, Director of Special Projects, who has been leading the Lifeworks Program for the past ten years. Soccer in the Streets worked with StriKing Marketing, an experiential marketing company focusing on bringing brands to life through meaningful experiences that connect brands to consumers in an impactful way, to give the players the opportunity to put their skills to the test. 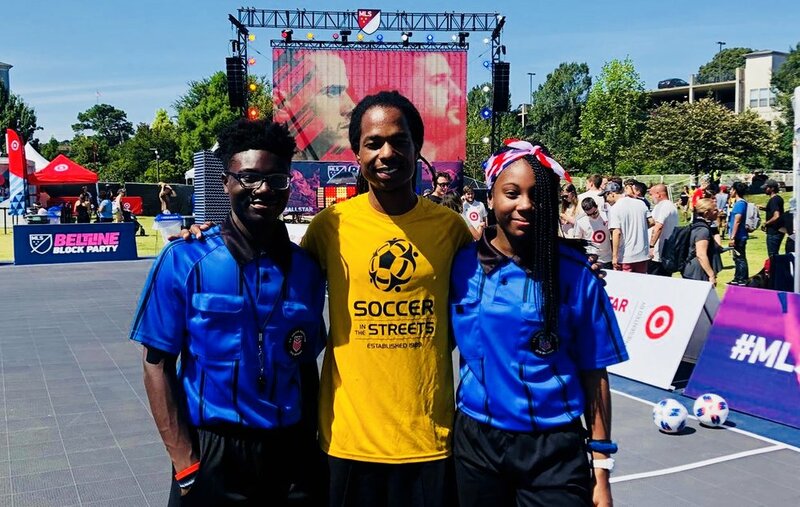 The brother and sister team of Zuriel and Zoey Johnson had the opportunity to officiate the celebrity soccer game. The Lifeworks programs continues to guide the young athletes to their greatest potential. 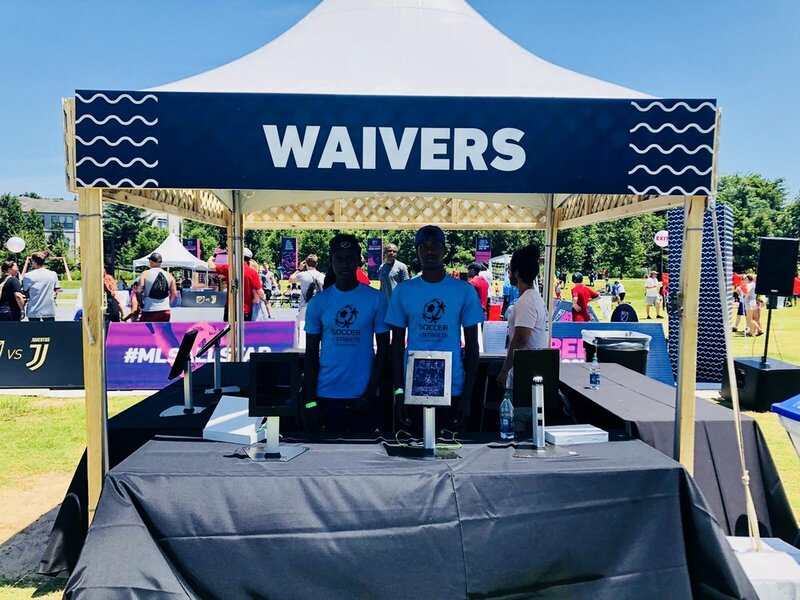 And opportunities like MLS All-Star weekend gives the kids the chance to experience and learn something new and exciting – opportunities they might not have had without Soccer in the Streets.